Tweet by Kai during and about (how to endure) the Art of Endurance Seminar. | RUN! RUN! RUN! 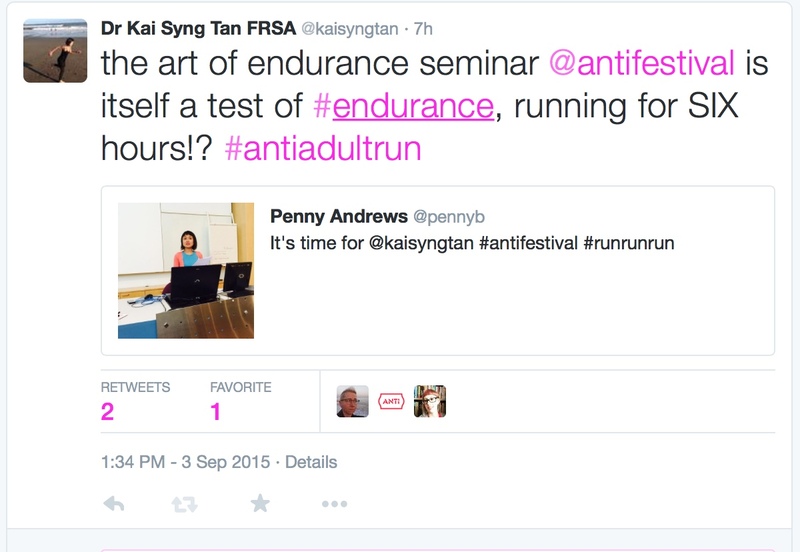 Tweet by Kai during and about (how to endure) the Art of Endurance Seminar.